In its heyday the Caffè San Marco was one of the fixed points on the vibrant intellectual map of Trieste, frequented by James Joyce, the writer Italo Svevo and the poet Umberto Saba. Decades later, in a world increasingly dominated by quick caffeine fixes and multi-ingredient beverages, the historic Viennese-style coffee house has remained a beloved part of the port city. Now, however, the San Marco faces an uncertain future, and one of its most faithful and prominent regulars, the writer and academic Claudio Magris, has made a public appeal for it to be saved from closure or conversion. The cafe's former manager Franco Filippi died in December and owners Assicurazioni Generali (AG), Italy's largest insurance company, based in Trieste, are looking – apparently as yet without success – for a replacement. Locals fear that either AG will decide to give up on the San Marco, or new management will be found that has a different vision for the venue. 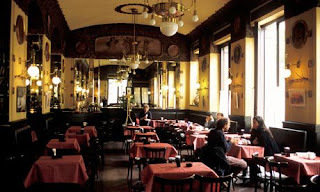 In an impassioned article in the Corriere della Sera, Magris, a Trieste-born novelist and cultural philosopher who often works from the cafe, urged the owners to save what he said was a unique place known throughout the world for its history and atmosphere. "A place where you're at peace, you read, you write, you chat," he wrote. "A heart of the city; a strong heart that beats calmly." Urging AG to ensure the cafe stays open and retains its traditional function, he said that a "transformation" under new management into a restaurant or other business would, in his mind, also signify closure. Gabriella Valera, chair of the local Poetry and Solidarity association, said that San Marco was famous for its history but also had an important role as a modern place of encounter and exchange. "It's not only the [city's] past. It's its present and its future," she said, adding it was vital the cafe retained "the same features and the same spirit". Her group will hold an event on Friday evening aimed at keeping the fight to save the cafe in the spotlight. First opened in January 1914, when Trieste was still part of the Austro-Hungarian empire, the San Marco instantly became popular among politically-active students and intellectuals. Destroyed during the war by Austro-Hungarian troops, it lay abandoned for years before being reopened. 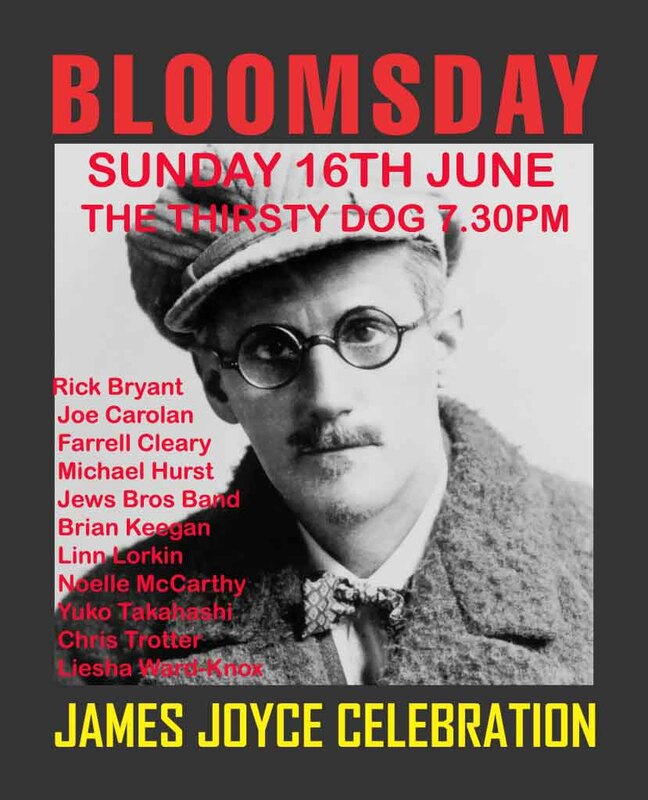 Meanwhile... in Auckland, preparations are underway for the annual James Joyce Bloomsday celebration. Dancing In The Wake, a one-hour dance show about Lucia Joyce and her relationship with her father James and with the young Samuel Beckett will be running at the Basement Theatre at 4pm and 6pm. 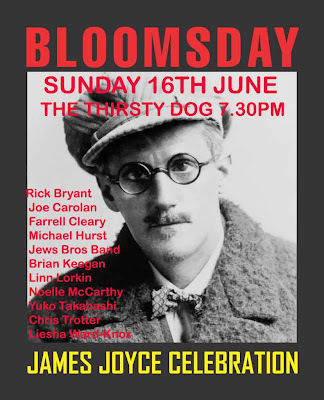 Later in the evening will be the fabled Jews Brothers' Bloomsday, this year with guests Michael Hurst, Noelle McCarthy, Rick Bryant and Liesha Ward-Knox, at the Thirsty Dog pub in the centre of red-lit K Rd, kicking off at 7.30pm and hopefully ending by 11.